Resume cover letter samples that will help you stand out from the crowd. Learn how to package your skills and experience into a readable and convincing marketing tool. Customize your own work history to get the employer's attention and make sure your resume gets read. Use these sample resume cover letters as a template for writing your own effective cover letter and stand out from the crowd. Before you can develop a persuasive cover letter you need to fully understand what a cover letter is. 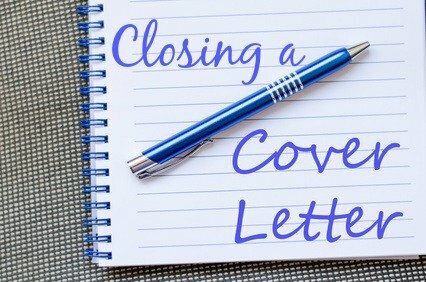 What is the purpose of the cover letter and how do you write a cover letter that clearly fulfills that purpose? Your cover letter is key to ensuring that your resume gets serious attention and there are certain steps you need to follow. Find out more at what is a cover letter? Accounting is generally considered a conservative career field. People employed in accounting jobs need to be perceived as trustworthy, dependable and reliable. Your cover letter should project these qualities - keep it simple, straightforward and with an overall serious tone. There are certain core competencies that are essential to success in any accounting job. These include attention to detail, planning and organizing, problem analysis and problem-solving, judgment and integrity. Highlight these abilities in your cover letter. Accounting is all about numbers. Refer to measurable achievements in your cover letter such as establishing policies and procedures, reducing expenses and streamlining workflow. At the core of any organization lies the administrative and secretarial functions. Administration involves a large variety of tasks and responsibilities that demand a wide range of skills and competencies. The information in your cover letter needs to be well organized to clearly demonstrate your experience and expertise. Highlight the major aspects of your career and capabilities as they relate directly to the job opportunity. In sales, marketing and customer service it is all about positively impacting on the company's bottom line. Your success in these fields is determined by how you contributed to improved profitability. Your cover letter should focus on how you achieved the desired results in your previous positions. The range and scope of your responsibilities should be clearly summarized and supported by your accomplishments. What products or services have you worked with? Did you meet your performance criteria? What was your customer base or territory? What tools and procedures are your familiar with? What strategies and techniques did you use? Did you implement any improvements? What were your actual numbers? A manager is responsible for certain functions regardless of job level, industry or organization. Your cover letter should reflect competence in these areas in order to persuade a potential employer of your suitability. Highlight your achievements and contributions to the company as a whole. Avoid getting bogged down in the details of your tasks and responsibilities and rather provide a clear picture of your overall success as a manager. Understand What Makes a Good Manager in order to write a convincing cover letter. Use these resume cover letter samples to help you. There are many ways to successfully close a cover letter. Find out more. Do you want to apply for an internship? This internship cover letter will help you. Relocating? These relocation cover letters can be customized for your own circumstances. Looking for a new career? This career change cover letter sample will help you with your job search. Basic cover letter for all employment applications. Select the right covering letter from the resume cover letter samples and use these free resume samples to develop a winning job application. Search for the resume you need.